Volkswagen is going to use South Korean infotainment (information + entertainment) system with its new cars that will be produced starting from 2019. Erae Automotive Systems Co., Ltd. (President Kim Yong-joong), which is an automotive part manufacturer, and an automotive software (SW) maker called Emotion (President Heo Sung-man)announced on the 27th that they recently made a supply contact worth $446 million (500 billion KRW) with Volkswagen regarding automotive infotainment system. Both companies decided to supply their co-developed Smart infotainment mutual controller system to Volkswagen starting from 2019 for 8 years. Amount of a first deal that a global automotive manufacturer makes with a foreign automotive part manufacturer does not surpass $89.2 million (100 billion KRW). 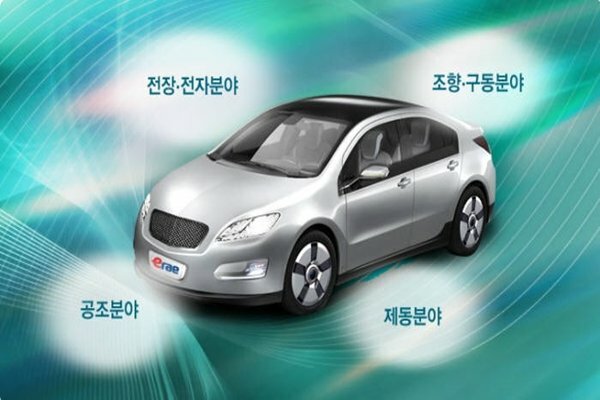 Also no South Korean small and medium companies ever supplied SW for electric devices to Volkswagen before. This is why this contract is a very rare case. This infotainment system is based on 10.1-inch LCD screen and is an automotive electric device that has variety of functions such as music listening, TV watching, navigation, and mutual management. It also supports Google Android and Apple’s CarPlay mirroring. Erae Automotive Systems Co., Ltd. and Emotion are in charge of hardware (HW) and SW technologies respectively. Emotionis a new venture company that was established November of last year. However it has high competitive edge in its technologies as it is lined up with professionals that co-developed automotive SW with Maserati and Continental. Erae Automotive Systems Co., Ltd. is a medium-sized company that made $1.34 billion (1.5 trillion KRW) in sales in 2016 from electric devices such as automotive mutual system and infotainment system. Both companies are going to start producing infotainment mutual controller system and are planning to push for development of infotainment system and production of electric devices starting from September. Volkswagen is going to apply this infotainment system to cars that will be produced starting from 2019 and is planning to apply this system to at least 200,000 cars annually.